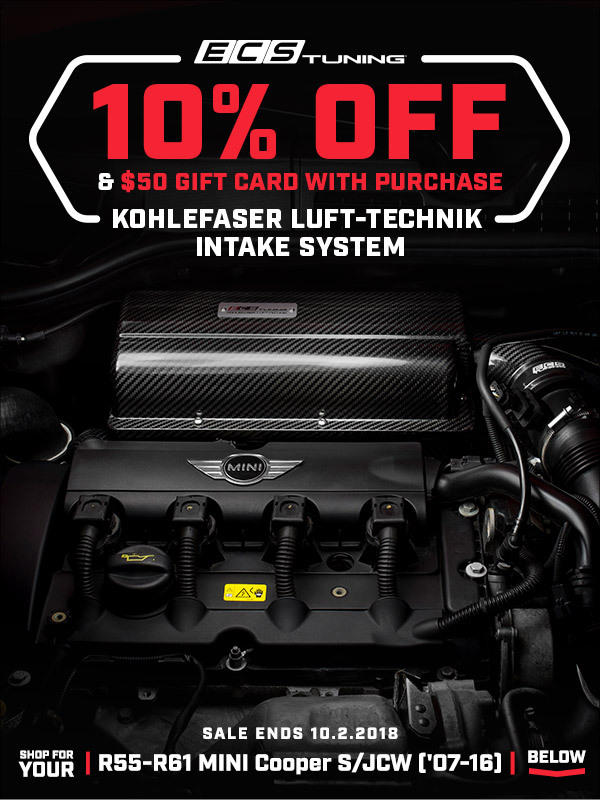 10% OFF ECS Carbon Fiber Intake - Final Hours! For a limited time, 10% off and Free Shipping on this system + a $50 ECS Gift Card! Months of tireless dedication and passion have resulted in a highly effective carbon fiber induction system, one that effortlessly weaves beauty with engineering rigor into one complete package that not only looks good, but is real world tested with the performance that is second to none. If you accept nothing but the best, this is the only complete carbon fiber air induction system for you! For a limited time, 15% off and Free Shipping on all systems! DOT-compliant kit to improve pedal feel in your vehicle. Select your year and model after the click through. No one wants a failed supercharger in their MINI, but every failure is followed with possibility. 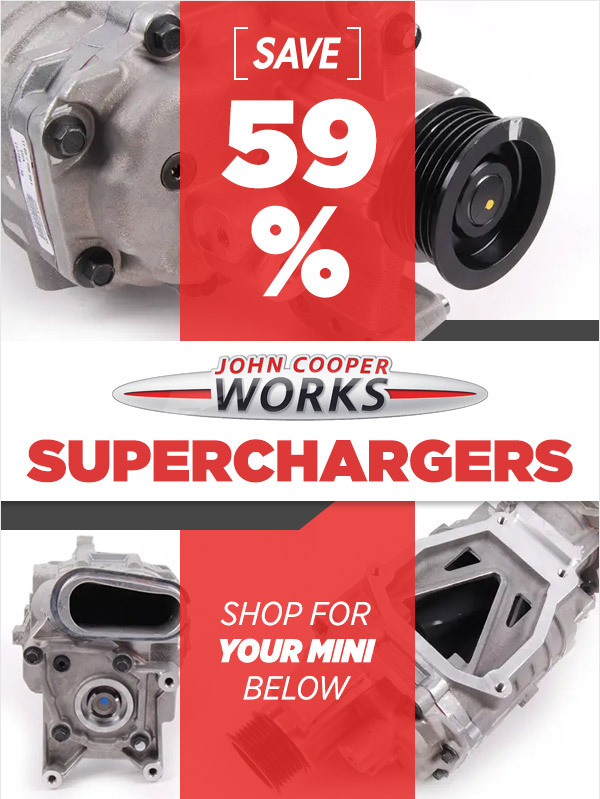 The John Cooper Works edition MINIs, known for their increased power and performance, sport one of the best superchargers available as a Genuine MINI part, and bolt directly in place of your MINI Cooper S' supercharger to either replace a failed unit or upgrade your performance. Right now, you can take advantage of this upgrade at a significant discount to make the replacement even more of a reason to go big. 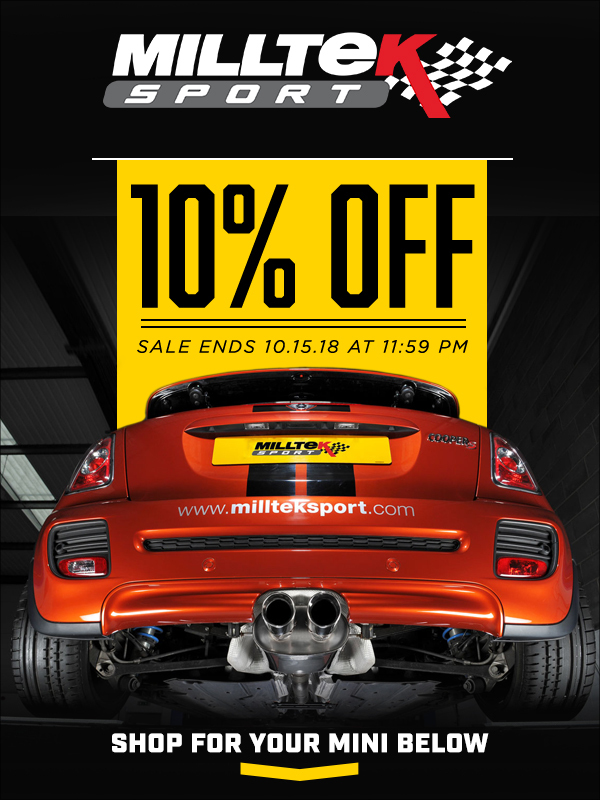 10% Milltek Sport Exhaust + Free Shipping! For a limited time, 10% off and Free Shipping on all systems! Milltek's in-house designed, tested, and manufactured exhaust for your MINI is the perfect addition to improve how your car drives, sounds, and feels. Their exclusive partnership with ECS Tuning gives you superior access to Milltek's premium quality, that your MINI is deserving of, without sacrificing the entire contents of your wallet. 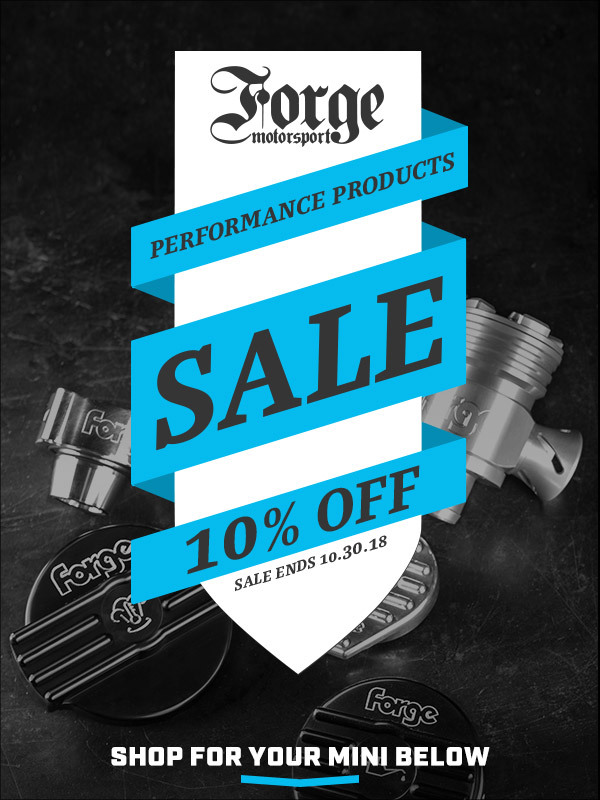 Forge Motorsport is on sale for a limited time. Free Shipping on most items! 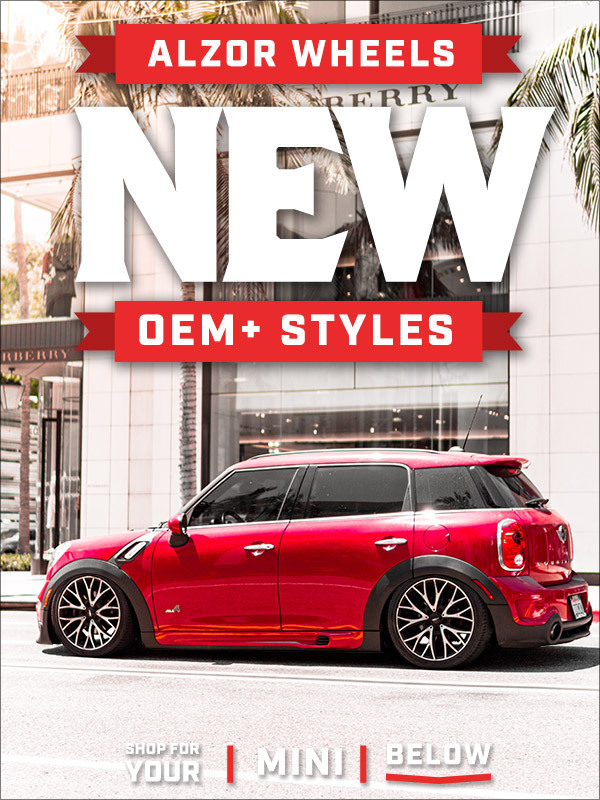 Select your year and model MINI Cooper after the click through. 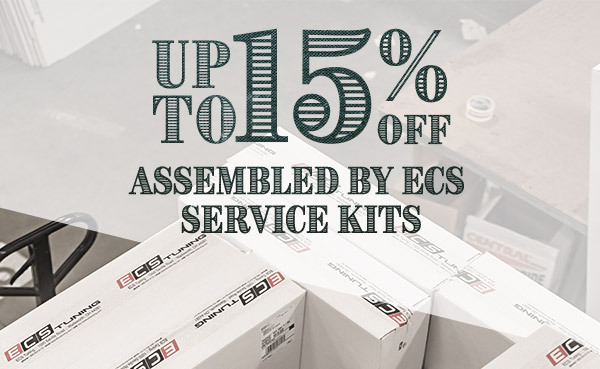 15% Off All Assembled By ECS to Everyone + Veterans Call in for an additional 5% discount on your order ...plus most with Free Shipping!! 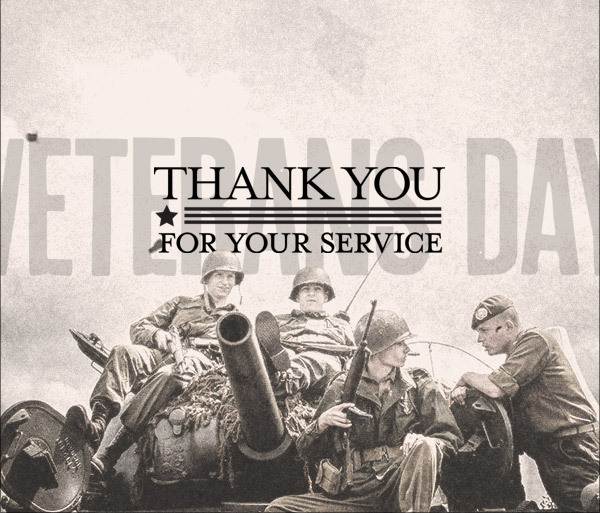 Thanks to all our Veterans from ECS Tuning!! Up to 80% Off Pre-Holiday Clearance...plus most with Free Shipping!! Get items before they are gone, we have some of our best deals ever and lots of Genuine MINI items that need to move. Ends 11.16.18 so act soon. Click HERE to shop the Gen 1 R50-R52 Cooper (base)'02-'08 models"
Click HERE to shop the Gen 1 R53/R52 Cooper S/JCW '(supercharged) '02-'08 models"
Everyone's favorite SALE is BACK! Ending soon! 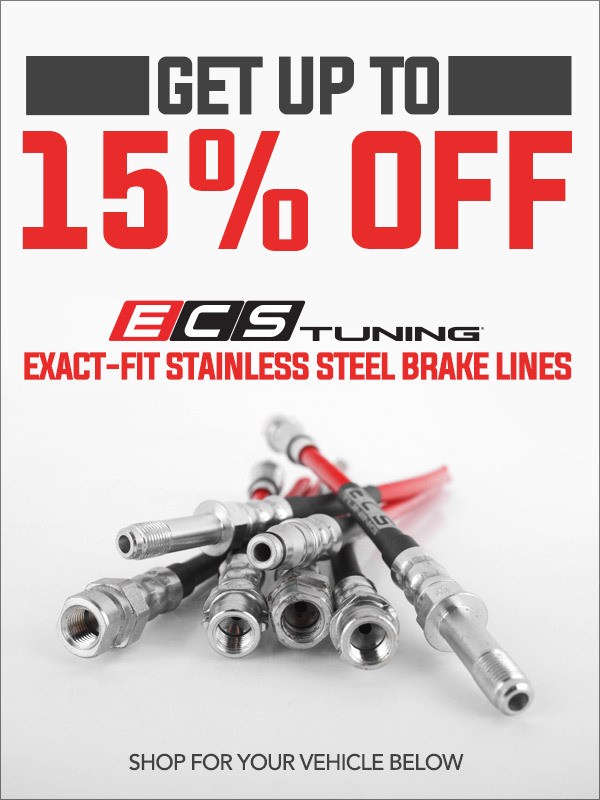 5% Off All JM Turbo Coopers performance parts at ECS Tuning! Click the link below to save!! 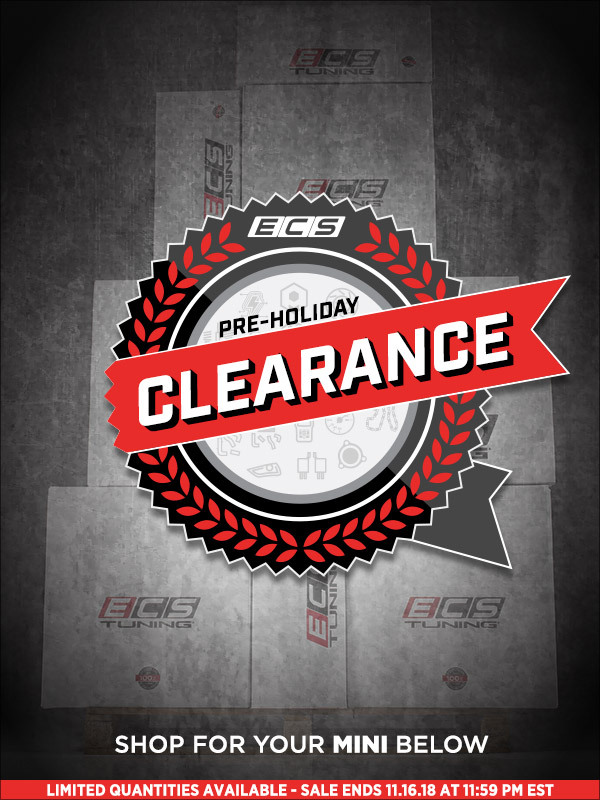 Powerflex Performance Bushings and Powerflex Black series 15% OFF and some with free shipping only found at ECS Tuning! Last edited by ECSTuning; 11-30-2018 at 04:05 PM. These sets of Alzor wheels will not only change the look of your vehicle, but also capture the attention of others. The OEM+ style wheels will give your car a sleek appearance that will keep people looking as you pass. 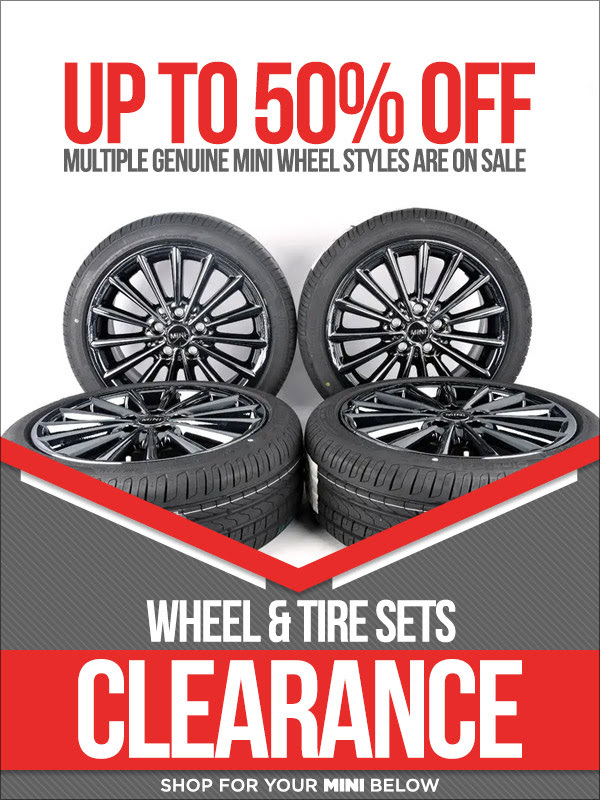 Designed to bolt right up to your car, these wheels fit without any hassle. Starting at only $449 for a full set!Designed to bolt right up to your car. R60, R61, F55-F60(except JCW models). See fitments in red after the click through. Click HERE to shop the New MINI Alzor Styles 103, 543, and 243"